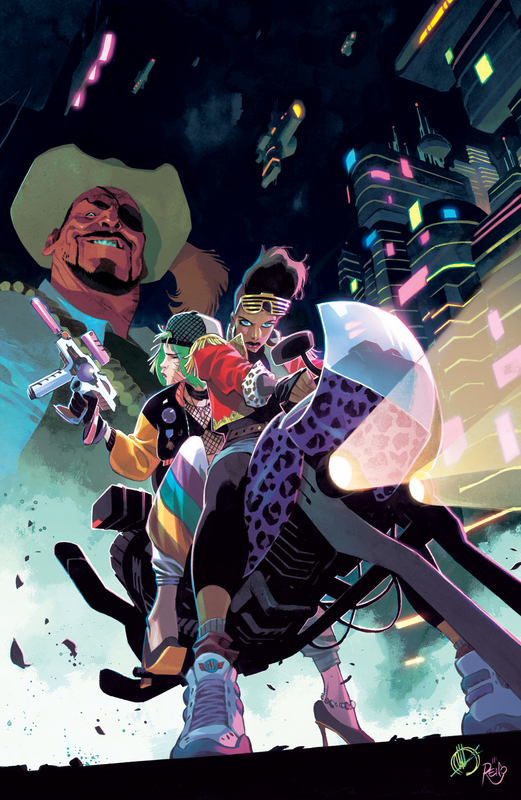 Netflix and Mark Millar are teaming up for a new, in-house original property, Space Bandits. Described as a female Butch Cassidy and the Sundance Kid set in space, the woman-led sci-fi story and its massive cast of exciting characters will be introduced through a comic book from Image Comics, illustrated by celebrated Italian artist Matteo Scalera (Batman, Deadpool, co-creator Black Science, creator Dead Body Road). Synopsis: Thena Khole and Cody Blue are among the universe’s most wanted felons. Each the leader of their own criminal operations, they run heists across the galaxies — hopping from ship to ship to fleece everyone inside. But when both women are betrayed by their treacherous crews, the bandits only have one thing on their minds: REVENGE. As a special bonus — and available to order at the same time as the regular comic-book — a limited edition series of Space Bandits Legends Covers will be on offer. These will feature artwork by some of Millar’s favorite comic-book artists. For example, the first five covers will be illustrated by DC and Marvel legend Howard Chaykin, and will retail for just 75 cents — the same price of a comic book when Millar was in high school. All other covers will retail for the regular price of $3.99. 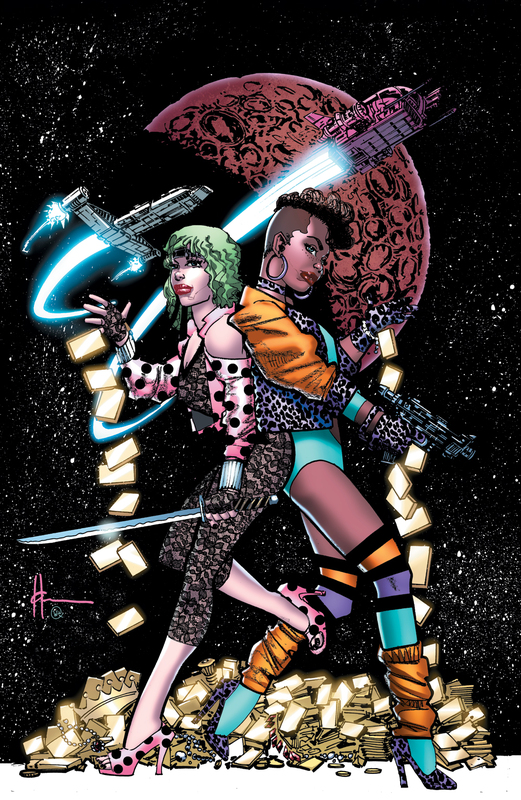 Space Bandits #1 will be available in stores July 3, the order cutoff is June 10. The issue will also be available on many digital platforms, including the Image Comics iOS app, Amazon Kindle, Apple Books, comiXology and Google play.